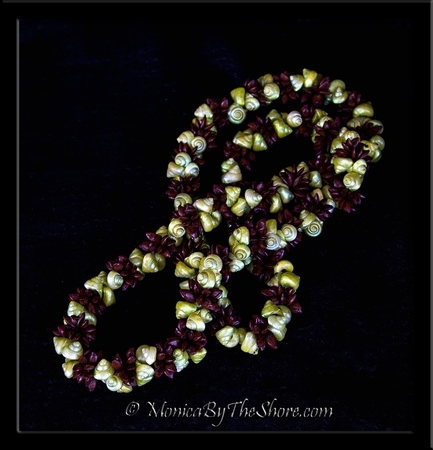 Own a piece of history with this antique Koa Wood Seeds and light green Trochus Shell lei necklace. This vintage seashell jewelry is of the late 1940s era and is in perfect, pristine condition. 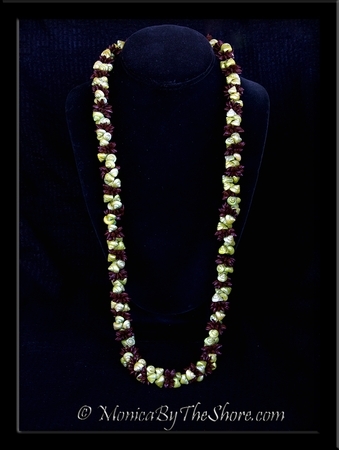 The lei necklace measures 32 inches in length. Earth tones of green shells and brown seeds create a beautiful blend of colors in this exceptional piece of Polynesian jewelry. Rare antique seashell jewelry designs presented by MonicaByTheShore, with Aloha on the North Shore of Oahu, Haleiwa, Hawaii.